These red abalone earrings are entirely handmade from traditionally harvested red abalone from the California shoreline of Chumash territory by Leah Mata. 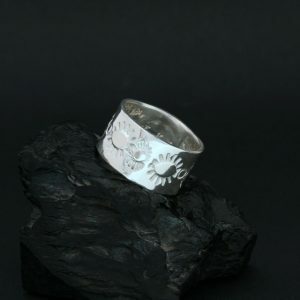 Red abalone is specific to this region and is therefore quite rare in Nature. 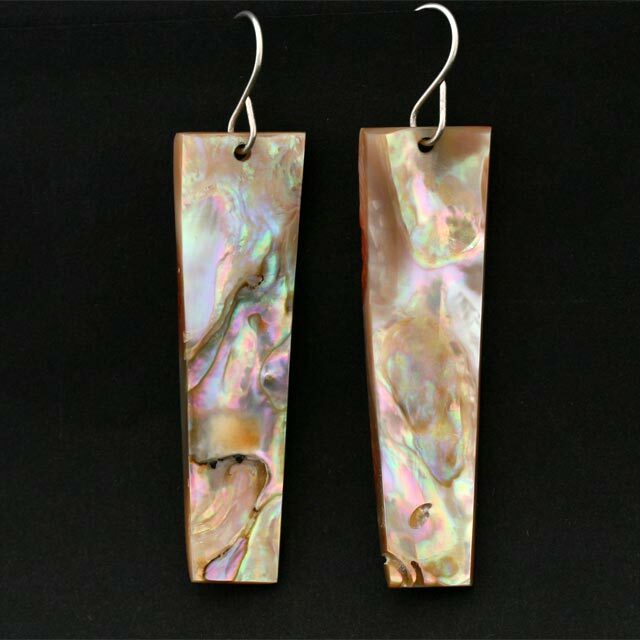 These iridescent Chumash earrings measure 6.5mm in overall length including the sterling silver ear wires. Leah Mata is a member of the yak tityu tityu (the people) Northern Chumash Tribe, located on the Central California Cost. 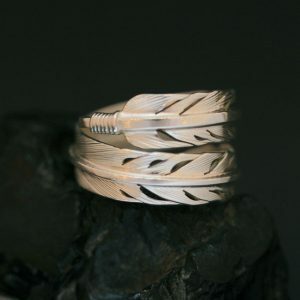 Leah works as a Traditional Artist creating contemporary living forms of regalia and jewelry, allowing for the opportunity to experience California Indian arts. Her work as a traditional Northern Chumash Artist is rooted in the past, yet she also incorporates her contemporary artistic expressions and blends them with traditional knowledge to create special pieces. 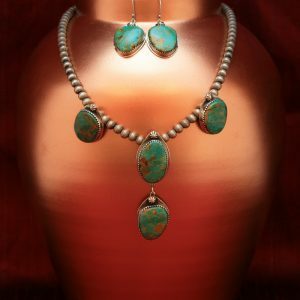 Leah’s is an award winning artist and has been awarded top honors such as the Autry Indian Market 2012-Best in Diverse Cultural Arts, Heard Museum Fair 2013, 2016- First Place, Traditional Attire. In 2011 Leah was awarded the Smithsonian Artist Research Fellowship, and a Master Artist recipient for ACTA 2013.